Here i am back with new app named Helo App. 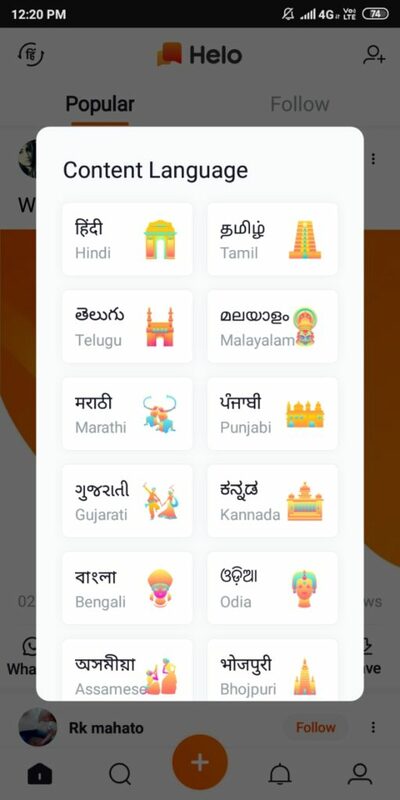 Helo is available in 14 Indian languages Tamil, Hindi, Telugu, Marathi, Gujarati, Punjabi, Malayalam, Bengali, Tamil, Kannada, Odia, Bhojpuri, Assamese, Rajasthani and Haryanavi. Helo allows users to connect with ​friends​ and family in their native language, all over the country with great ease. 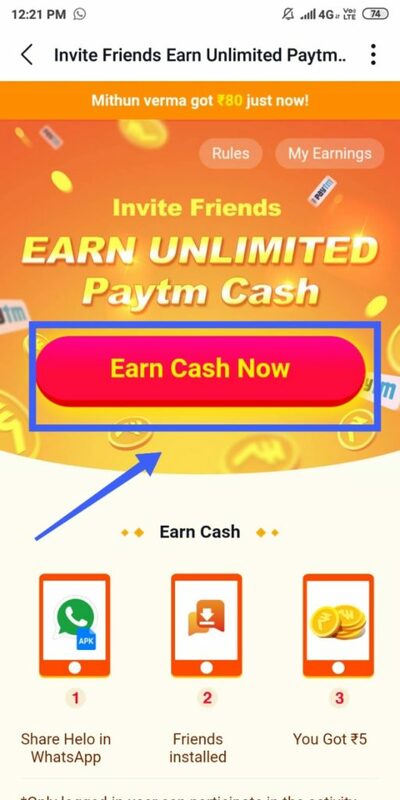 Here you will get Free PayTM Cash when you will share Helo App APK From your Install and you will get Rs.5 PayTM Cash Per Refer instantly. You can redeem it directly and instantly in your paytm account without any problem. 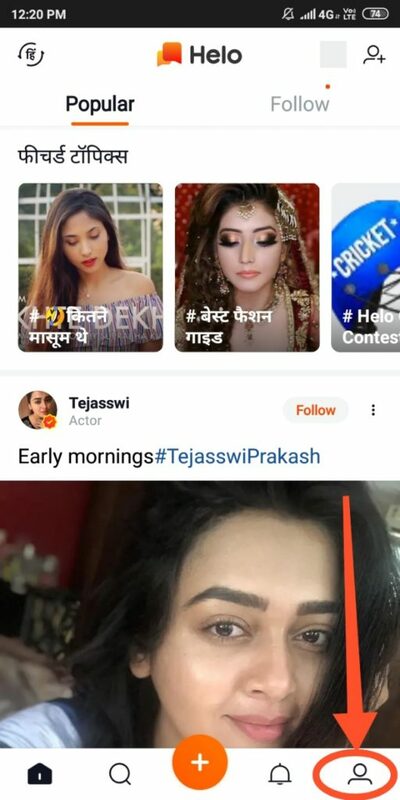 This Helo App Refer Earn is verified by us and working perfactly right Now. Follow Given Steps and Start Looting it Guys!! 2. Open Above Link in any Browse or Google Drive and Download APK and Install it And Open It. 3. Open App and Select your Preferred Language. 4. Move To Dashboard and Click on Profile Button from Bottom. 5. 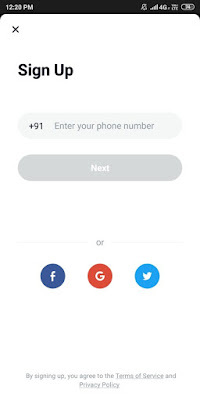 Enter your Mobile Number and Verify it with upcoming OTP. 6. Now Create your Unique Username and then Continue to Dashboard. 7. Now You will See a Banner like Earn Cash Now Option and Just Click on It. 8. If you not able to see a Banner Like above then Move to Dashboard and Click on COINS Option from Upper Right Corner to Get Option. 9. 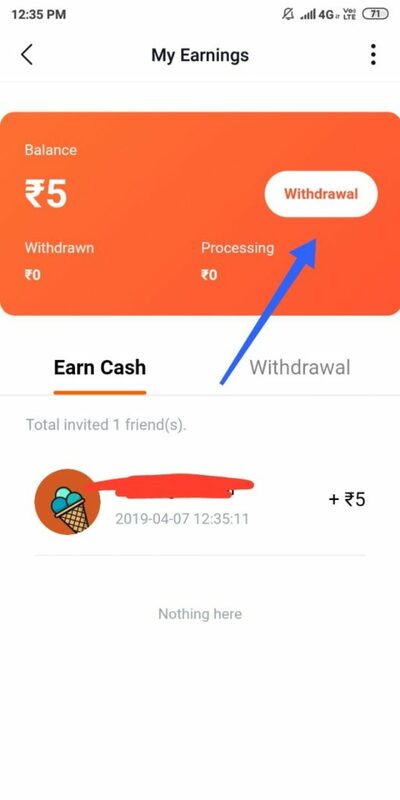 Now After Clicking on Earn Cash Now Option it Will Generate your Referral APK and Now Share it on Whatsapp. 10. 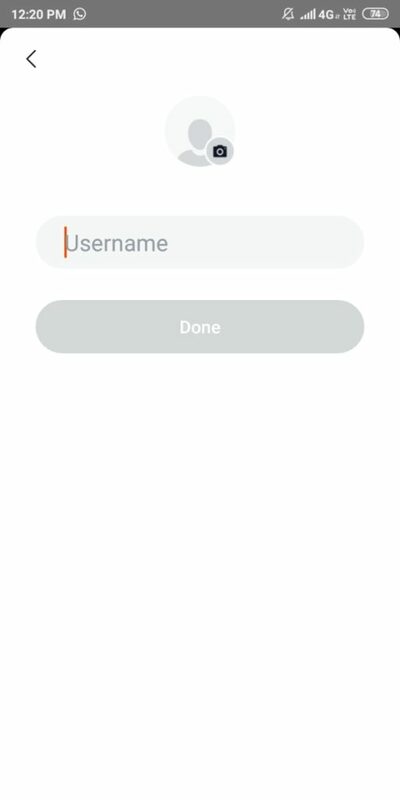 You have to Share that APK to with yourFriends on Whatsapp or Just Upload that APK on any Share Media and Share that APK link and ask your friend to Install that APK and Follow Same Process. 11. 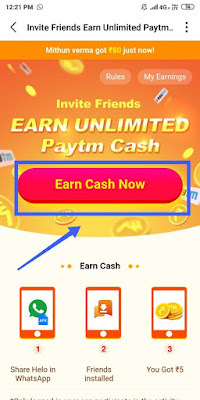 You will get Rs.5 Free PayTM Cash instantly when your Friend Download your APK and Register. 12. Now Click on Withdraw Option and Link your PayTM Account and Agree Terms. 13. 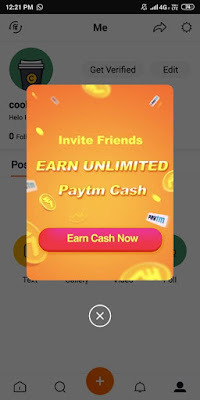 Link Your PayTM Account As Shown Below and Redeem your Earnings. 14. There is No Minimum Redemption in your PayTM Wallet and You will get your Payment Instantly in your Wallet. 15. 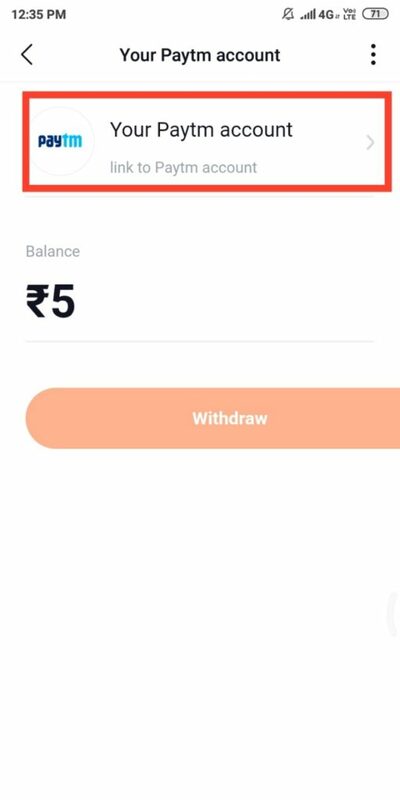 Here i Got Rs.5 PayTM Cash in my Wallet Just Now. 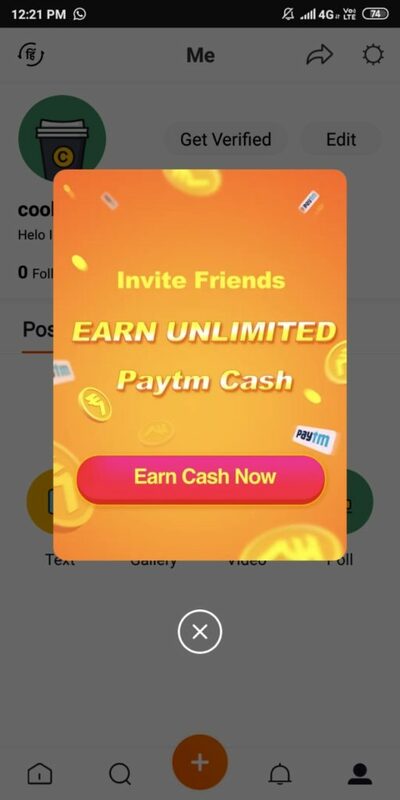 Do Share this App and Loot Help App and Earn PayTM Cash Now.